No beating about the bush, today I start with exactly what I want to pass. The take home message is: ‘the future of wildlife is in my hands’ tell yourself that. Recite it as a mantra if you want, but keep it in mind. I borrowed this line from IFAW (International Fund for Animal Welfare) and I completely agree with it. Because conservation efforts are collective, both you and I need to take part. We cannot afford to be spoilers… and yes by ‘spoilers’ I mean actually spoiling. We do not want to spoil what we’ve had for years, we do not want to spoil for ourselves, and neither do we want to spoil it for our children… think about that! Last week Kenya lost one of its most famous lions, Mohawk, who had wandered off the Nairobi National Park into Isinya, Kajiado. Mohawk had been spotted strolling in the morning hours when residents triggered and agitated him forcing him to do what was best- protect himself. Unfortunately Mohawk attacked and injured a 27 year old man who had ignited his motorcycle commonly known as “boda boda” hoping to flee from the raging animal. According to reports, the KWS team that first arrived to the site had no tranquilizers, and since Mohawk was hostile after being extremely agitated by the residents, he was left with no option but to attack, prompting the KWS officials to shoot him down, at least 9 times. Apparently, the second team from the KWS was only 3km away, and with them were the tranquilizer shots, however the damage had been executed and the Mohawk’s life terminated brutally. Only a few weeks ago did a lion named Cheru also find his way out of the Nairobi National Park and strolled on Mombasa road, injuring an elderly man. Also it’s within this same year, in February, when a group of stray lions commonly nicknamed as the “Langata 6” believed to have wandered off the same national park were seen strolling leisurely in Langata/Kibera area. However, the KWS team arrived on site with materials in hand ready to safely return them back to their habitat. Unfortunately for Mohawk, this was not the case as he met an excruciating death, betrayed by those meant to be his protector. The manner in which Mohawk died*, was extremely repugnant. I strongly detested the manner in which he was killed as I believe better ways could have been employed to address the situation. Just a few days after his killing, Lemek a younger lion was found dead, speared behind a bush in Kitengela. Animal lovers, conservationists and environmentalists (me included) have brought this grave matter to the Kenyan and global headlines as we are envisioning destruction of communities and species due to human-wildlife conflict, if necessary action is not taken. As for Mohawk and Lamek, we organized a peaceful memorial for them, last Sunday, 3rd April 2016, just outside the KWS Headquarters in Langata, Nairobi, whereby we paid our tributes and expressed opinions on promoting conservation efforts. 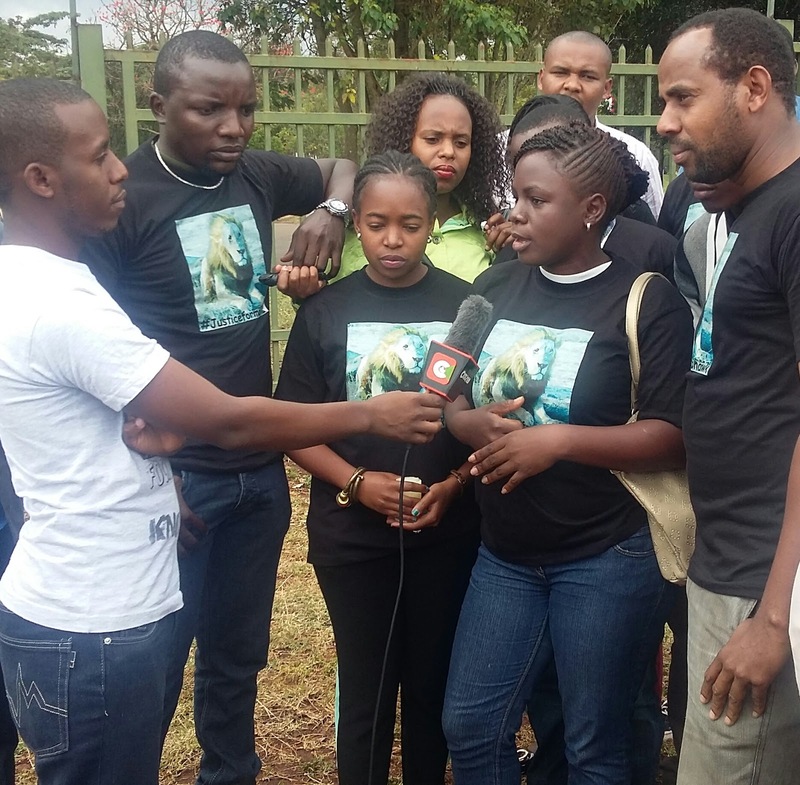 We also took that chance to accentuate that the entire environment needs to be conserved and protected, and highlighted the lack of awareness on animal behavior including the lack of sensitization on conservation. It is also alarming that the number of lions in the Nairobi National Park now remains as 34, according to some reports on the state of the park. 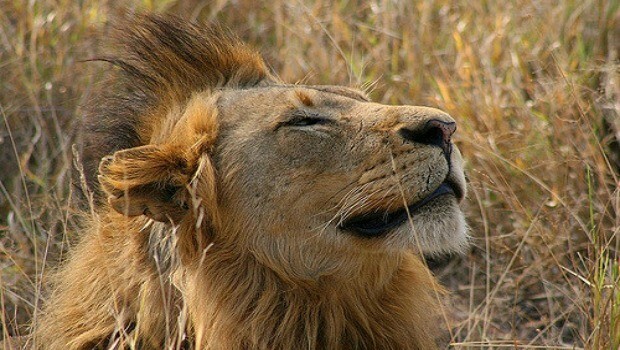 Other than that, lion population in Africa is greatly declining, and the king of the jungle is now listed as an endangered and vulnerable specie according to the Born Free Foundation, and the IUCN Red List of Threatened Species. Personally, I think that since 8% of Kenya’s total landmass is covered by sanctuaries, national parks and reserves, conservation awareness is key for every citizen, as these are the habitats to wildlife as well as major income-generators. And since it is stated in the Kenya Constitution in Article 69 that every person has a duty to cooperate in the protection and conservation of the environment, why don’t we all take responsibility? How many of us recited the Loyalty Pledge? Who remembers this line, ‘My life and strength in the task of our nation’s building’? Isn’t conservation part of the nation’s building? Honestly when I was in primary school I saw no sense in reciting this, I mean, it did not even make sense, it’s something I did just for the sake. Something to sing or recite to during parade and assembly. 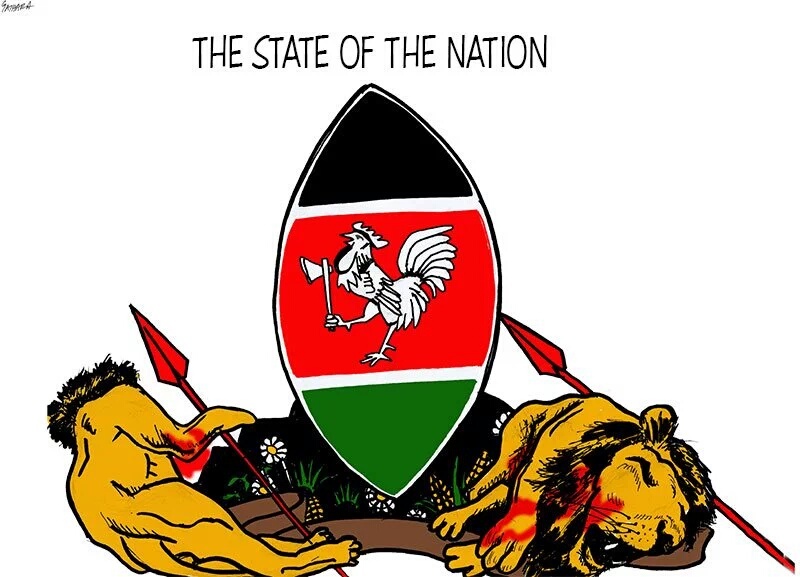 But for sure these words now make sense, this is a symbol to pledge my loyalty as a Kenyan citizen, a patriot, and I can only do that if I live to those words. There are many tasks that we get involved in during our lifetime, but have you ever thought to yourself, how these tasks affect others? Do these tasks contribute to the nation’s building? What have I really done for my country? Many times I can’t answer myself. Good thing is I can now take part in one task to redeem myself, and this one thing is promoting conservation. I have been labelled ‘too emotional’ about this of late, but oh well, this is what I call passion, and yes it is emotional if we are losing our biodiversity, so I will hung in there, and stand for what I believe in. I can help to protect the nation’s heritage… and so can you. As we sing passionately to the national anthem… justice be our shield and defender, let us mean these words… and “Firm may we stand to defend” … “Build this our nation together”, because Kenyans need you as a fellow Kenyan, conservationists need you, environmentalists need you… we all need each other, let’s practice what we sing, hard as it may be, it is possible. Understanding the impact of our choices is indeed truly important because it weighs enough to determine the fate of our environment with a clear distinction between its protection and extinction. I now realize that giving thought to what I do makes the difference in the preservation efforts of our environment for many generations to come. With all sincerity I think at times we miss the big picture when pieces to a puzzle are missing but I now realize that giving my actions a second thought doesn't cost me anything but enough time to give many species like Mohawk and Lamek a chance of survival as our pride and joy. I thank you all for inspiring me. I hope that someday my actions stand true in favor to your just cause. Keep doing what you do. Thank you for responding. Even the slightest effort counts when it comes to environmental protection and conservation. I am glad to have read an encouragement, especially from someone willing to make a change. Thank you. The future generation will be blessed through people like you.